The oven is back in use after a summer's rest, which means plenty of leftovers from a hearty dinner the night before. When I roast a whole chicken, one of my favorite ways to use up the leftover meat is to make chicken salad. I take my time to procure every morsel of meat off the roasted bird, including the back meat, which is so tender, but often passed over. 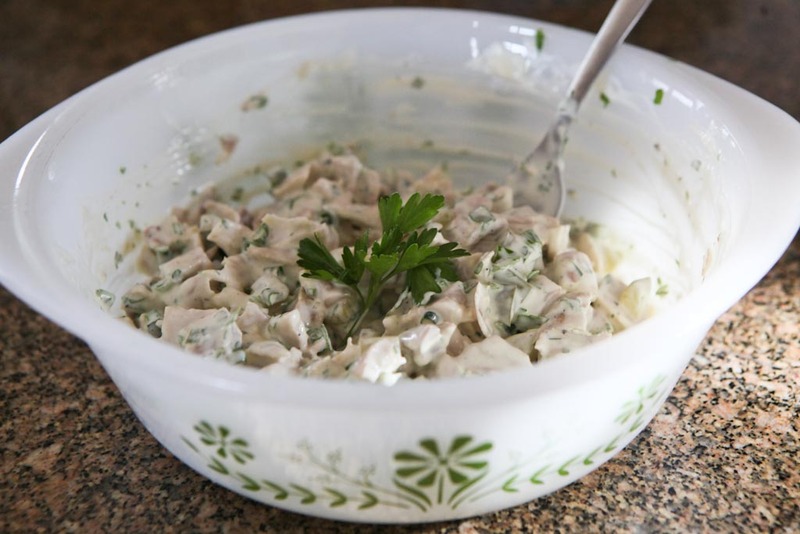 I've tried many versions of chicken salad, and finally have a recipe that I'm completely happy with! This one is adapted from Jan Karon's Mitford Cookbook & Kitchen Reader. 1. Combine the first four ingredients. 2. In a separate bowl, whisk together the rest of the ingredients to make the dressing. Stir the dressing into the chicken mixture and enjoy. 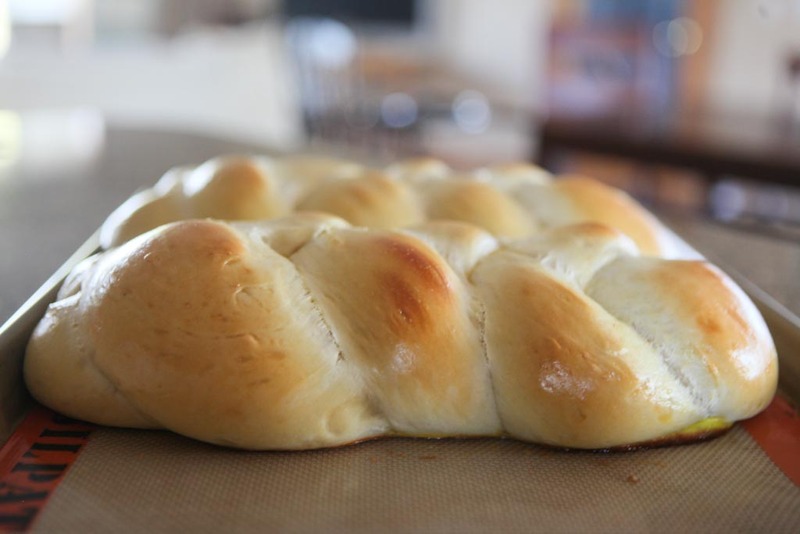 Oh, and try it on this braided bread - THE best bread I've made to date! That bread looks awesome. I think I need to make that tomorrow! I love chicken salad and this looks really good. I make my own mayo too. Thanks for the recipe! And that bread looks so good. I'll have to try that too. Just came back to say I made the bread tonight! And it's still hot on my counter and I had to just walk away because I could have easily eaten half a loaf. So good! Thanks for the link! mmmmmm sour cream? Sounds awesome! Jamie's been trying to heal his digestion after all of those IV antibiotics. I bet using kefir would be good too. Also, Julie, I'm with you on the bread. Must happen this week. Jaime, the chicken salad and fresh bread look fabulous! I love Jan Karon's books and didn't realize she has a cookbook out. I'll have to see if I can find it at the library.